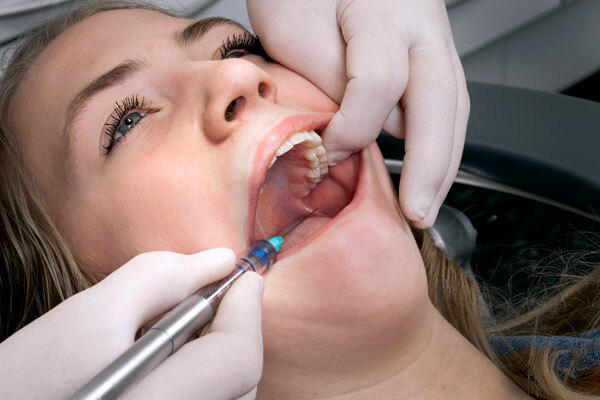 the computer assisted local anaesthesia system that offers you and your patients a more relaxed experience. EVEN NERVOUS PATIENTS FEEL RELAXED AND COMFORTABLE! 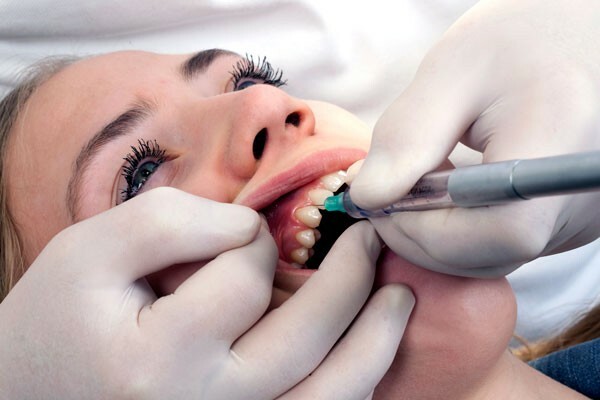 Successfully positioning your practice as a calm and friendly environment, CALAJECT is a great practice-builder as it helps you to deliver comfortable injections to your patients. 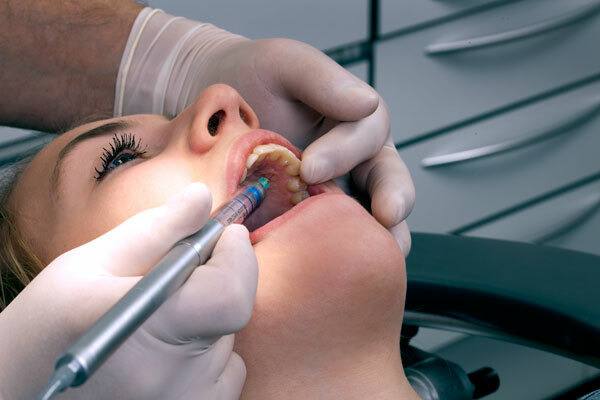 The secret is an intelligent and gentle administration of the local anaesthetic solution. CALAJECT controls the flow rate in each programme setting, injecting slowly at first and then increasing its speed. 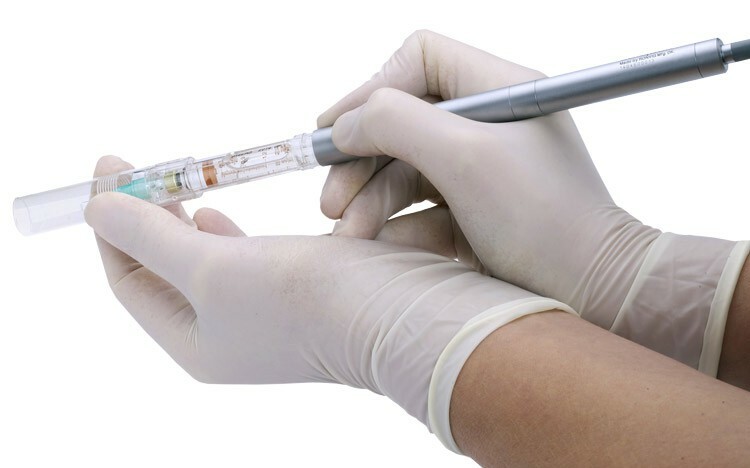 This technique prevents the pain usually caused by the speed of the injection and the resultant pressure in the tissue. 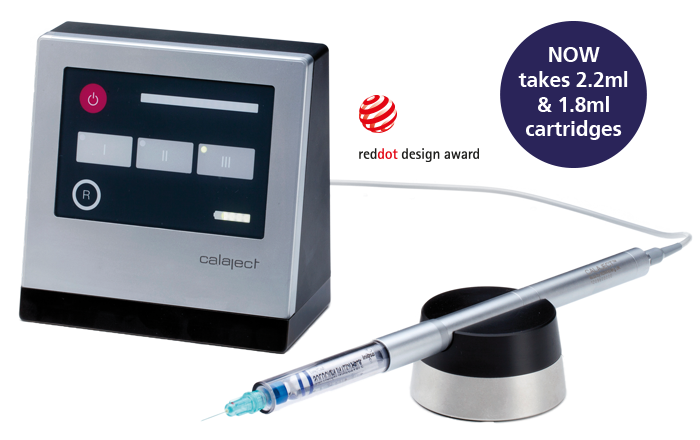 CALAJECT effectively controls the anaesthetic flow rate across three programme settings. 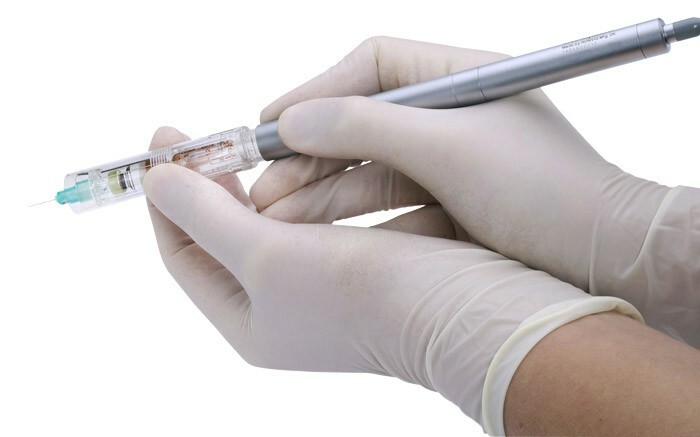 With one touch, users can ensure a smooth and gentle flow of the anaesthetic solution for intraligamental injections, infiltrations and regional nerve blocks to meet all local anaesthesia needs. 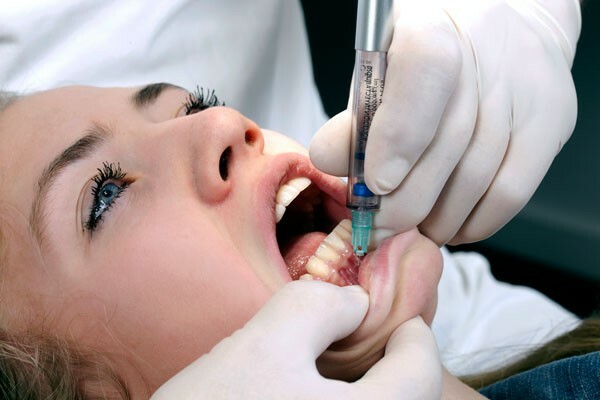 Even palatal injections can be carried out with minimal to no discomfort for the patient. When it comes to the clinician’s comfort, the tactile, vibration-free handpiece and pen grip provides a relaxed and better working position where the needle can be kept perfectly still in situ. 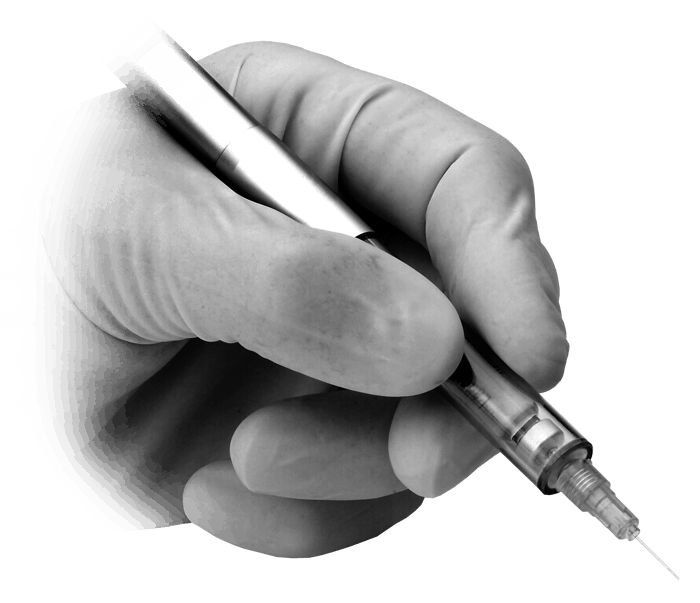 Now available with optional disposable safe-sheathing system to help prevent needlestick injuries and for safe disposal. Push and pull the outer barrel while using to cover the needle. Pull and rotate to cover the needle and permanently lock outer barrel for safe disposal.